I am exploring more and more of the new features on ScootPad. I am a creature of habit and so I tend to stay with the familiar. But there are so many new things to explore on the platform, I am making a promise to myself to branch out…little by little. Today I was looking at the eBooks. Now, don’t get me wrong, in theory, I have loved them since the beginning. But with so much on my plate, I just wondered how to use them. I know my students would happily read them. But for me, the value in the platform is more in the practices and assessments, so I didn’t want to “distract’ them with the books. Leveled readers are an easy and engaging way to practice for DRA summaries! But in looking at them again today, it hit me like the lightning I am watching outside my window: DRA practice! I have used A to Z reading books in the past, but it can be a bother to have to download and print out and then put together the books…not to mention the drain on my budget. So when I saw the wonderful color illustrations string back at me from the covers of the eBooks, I realized they are perfect for DRA prep. 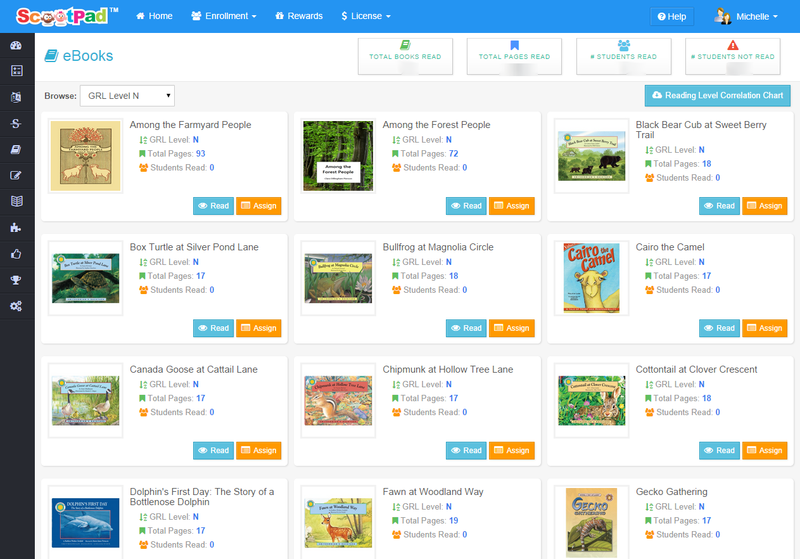 It’s super simple to find the right level and I can assign a particular book to a particular child (or the whole group), with the click of a button! Done! Leveled book, engaging interest, assessment practice. What ScootPad features did you recently discover that can make your life easier?